On Day 2 we wanted to check out the place, have a wander around the hotel and attempt to plan our week away (last year we visited Turkey and made the mistake of not planning ahead and did absolutely nothing!). The Atlantis is home to one of the biggest aquariums, situated in the East Wing of the hotel. 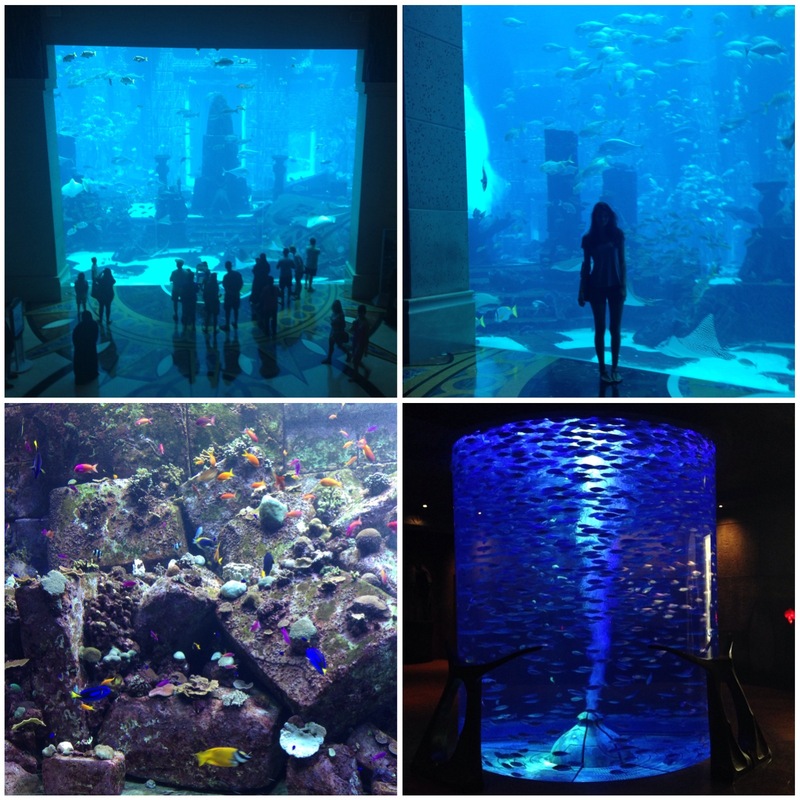 It's beyond breathtaking, you really could easily lose yourself looking into the aquarium. It's incredible to think that some people actually stay in rooms surrounded by the aquarium, imagine waking up when there's a shark staring right back at you! This day definitely had an underwater theme as we then headed to the other part of the aquarium where the layout was built to resemble the lost city of Atlantis, hence the hotel name, so there was an old theme and a lot of ruins to add to the effect of the lost city. Here we saw a vast array of different fish. My favourite had to be the colourful set up where all the fish were so vibrant and really stunning (who knew I'd be using the word 'stunning' to describe fish!) I also thought the jellyfish looked incredible but I have to admit my all-time favourites were the leopard print sting-rays! As the evening drew closer we headed back to the room and I got dolled up for our first dinner in the hotel. 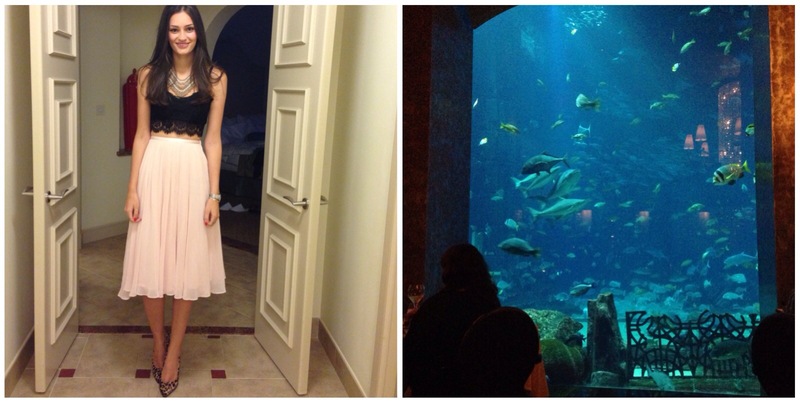 We went to an underwater themed restaurant, which fits in perfectly with this day haha, where we had a view of the aquarium - again, we could have stayed there all night and just watched the fish swim by. I posted my outfit on Instagram and a lot of you loved it so I will be posting it up on my blog soon, stay tuned! Missed Day 1? Have a look now! What do you think of Day 2? I'm so jealous you went to Dubai, I'd love to go. It looks amazing! I love aquariums. Your outfit is stunning! I can't wait to see your blog post on it! Looks like an amazing experience!